How to get to Genoa? What’s the weather like in Genoa? 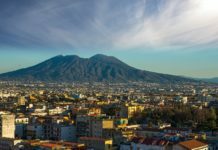 Can I rent a car in Genoa? The majestic port city of Genoa, Italy (Genova in Italian) has been one of the first republics of Italy, dating back to the Renascence. Its power comes to fruition after it defeated Pisa in 1278 in the battle of Meloria, to take over trade on the eastern side of Italy, making it the counterpart to Venice. Its maritime power is seen in it’s Porto Antico, and especially on Via Garibaldi, one of the main streets where the nobles of the time would buy and furnish their Villas. A Genoa Italy tourist attraction would be visiting Palazzo Rosso, Palazzo Bianco, and Palazzo Tursi all in one go, cause you’ll just need one ticket to visit all three. Other interesting things to do in Genoa Italy are visiting the Acquario di Genova, one of Europes biggest aquariums, and its Renzo Piano Biosphere that holds within a precarious natural habitat, you should put on your list a visit to the Cathedral of San Lorenzo, which is said to contain the ashes of John the Baptist, the platter on which Salome served his head, and a bowl that is believed to be the Holy Grail, let us know if you think it could be it – even though I personally believe Indiana Jones has the real one. 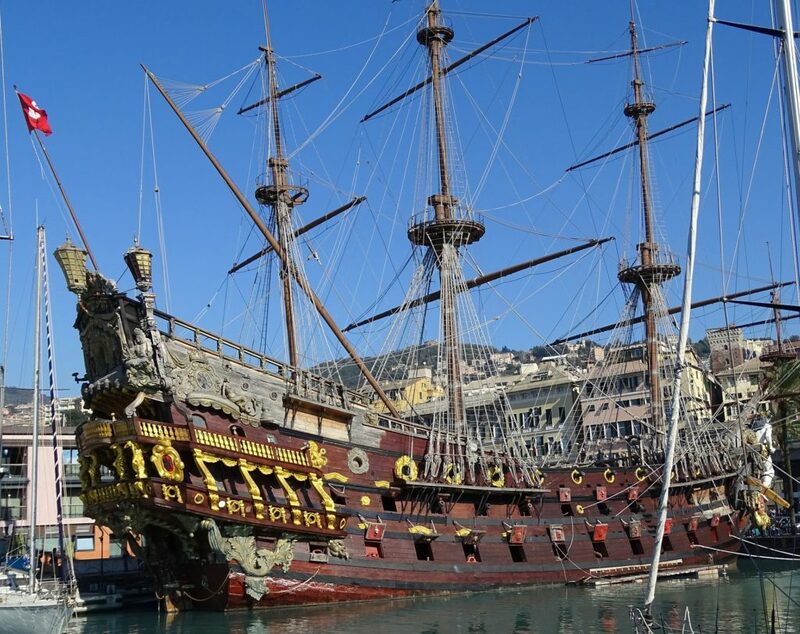 Genova, Italy isn’t only famous for its maritime power, or maybe it is? Well it’s definitely one of their major incomes and attractions, keep in mind that Christopher Columbus was raised in Genova and if you want you can see his childhood home near Porta Soprana, there you’ll find a little museum with not much to offer, but a chance to be in the same place as him. Another important thing about Genova is that it’s Republic would then be taken over by the Savoia, the Savoia would become the reigning family of Italy after the Risorgimento and because Genova was one of their first territories you’ll be able to find the majestic Palazzo Reale near via Balbi, in there you’ll not only be surrounded by beautiful fountains and terraces, but also get a chance to view some amazing artwork by the likes of Van Dyck, that resided in Genova for about 6 years of his career. 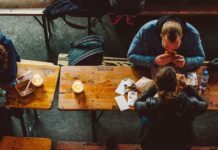 Now enough tourist attractions, more about Hotels in Genoa Italy and apartments in Genoa Italy for rent, cause we know you’re here for that at the end of the day. So keep in mind that the city is built all the way to the lower slopes of the Appennini, so always keep in mind that when looking in Genoa Italy real estate for rent where you want to be regarding locations to visit, or where you have to be for your courses. Genoa isn’t very well connected internally, especially now that the tragedy Ponte Morandi has occurred. 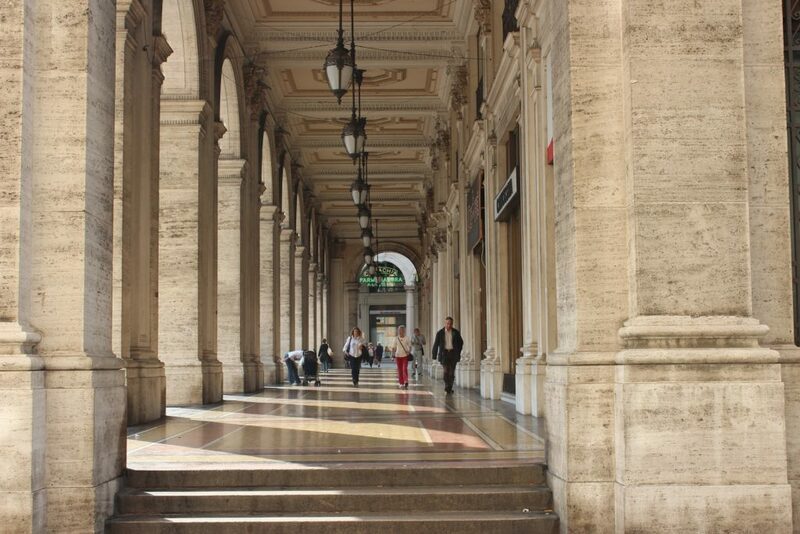 But again, on a lighter note, Genoa is great for your health being that you’ll walk like crazy. 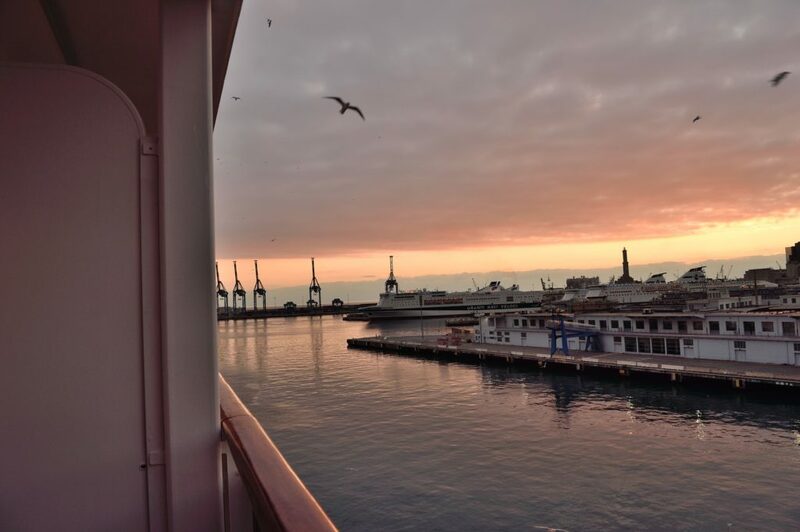 Getting to Genoa is not a hassle at all, t is well connected by train and air, plus I mean being one of the main ports in Italy, it also has a lot of ferries and cruises that come to a halt in the city. Now if you want to take the train, the national train service connects the Genoa Italy train station to all of the major cities with its Frecce (Fast trains). 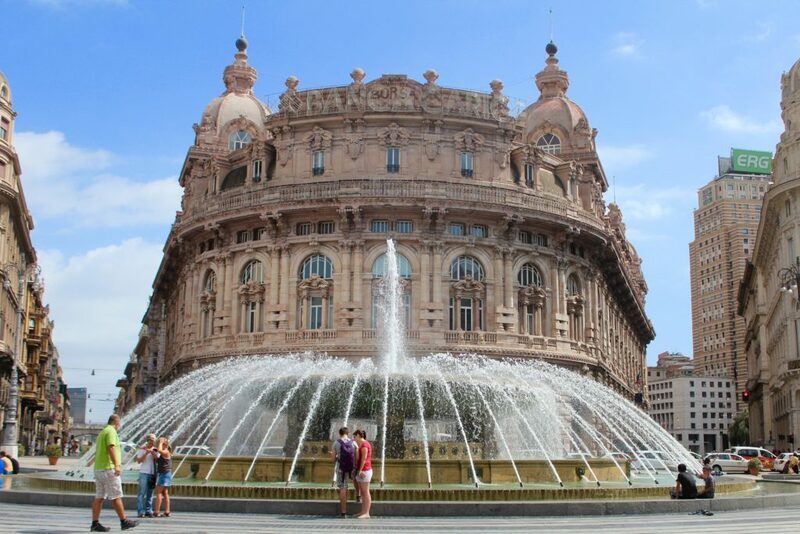 Also, you can find some flights to Genoa Italy that’ll land at the Cristoforo Colombo airport. Most flights come in from major European cities, so, unfortunately, you won’t find any directs from out of Europe. For being a city in the Northern part of Italy, Genoa isn’t too bad. Obviously, the humidity is up the roof, because of it being waterfront, but it rains about 70 days a year by average with the weather never going under 0°C even in the winter, so Genoa Italy weather ain’t too bad, keep that in mind while packing up. 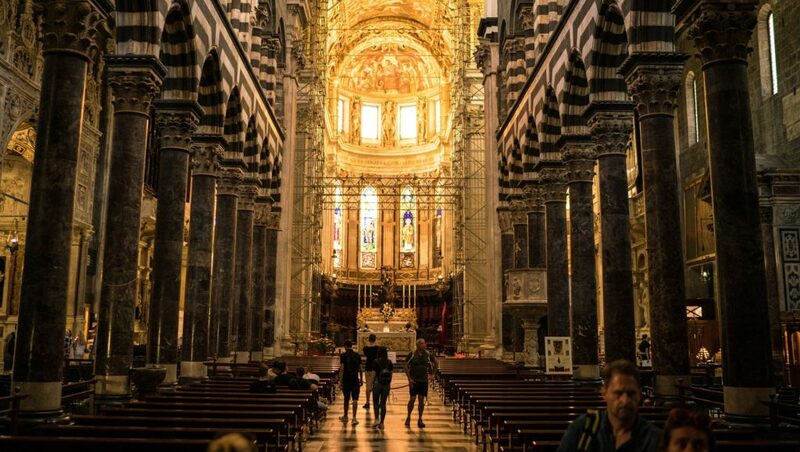 Many of you come to Genoa for the main attraction that isn’t actually in the city right? You’re on the hunt for the 5 Terre, I mean who isn’t? They are amazing, and probably yo don’t want to have to use public transport and rely on timetables to spend your day, so why not rent a car in Genoa Italy and drive down while visiting the towns. Unfortunately, you won’t find any major car rental in the 5 Terre, but driving back to Genoa won’t belong. So if you want to find a car rental in Genoa Italy, no worries the city has all the major retailers.